A masterpiece of the mouth. An in-your-face work-of-art. An unexpected flash of brilliance. Like you—exclusive, rare and ridiculously awesome. The Shock Doctor X Kickasso Artist Series Mouthguard is exclusive to ShockDoctor and Kickasso Kustoms. When the pros want to make a creative, bold, and personal statement on the field, they call Kickasso. 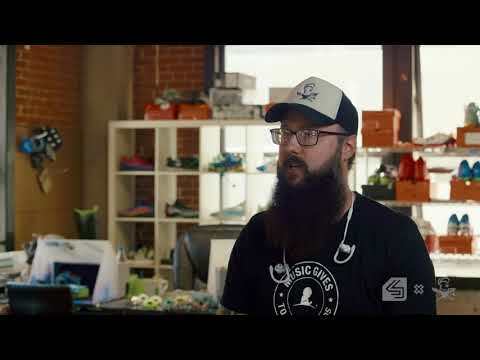 A world-renowned artist known for making some of the most unique and coveted cleat designs, Kickasso has a simple goal: Take cool products, and make them cooler. And now, he's going for the mouth. Click here to learn more about the Shock Doctor X Kickasso Collaboration. Kickasso Artist Series Max AirFlow Mouthguard is rated 4.8 out of 5 by 12. Rated 5 out of 5 by Pooh from Cool Design! I brought this for my son and he is very happy with it! Also, fast shipping.